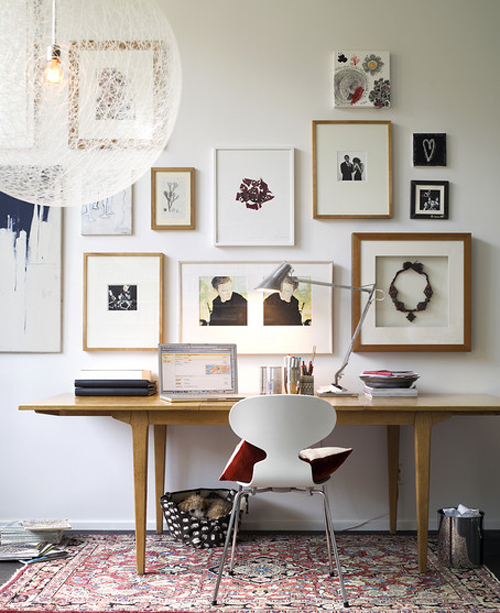 You can easily dress up a wall by using frames. 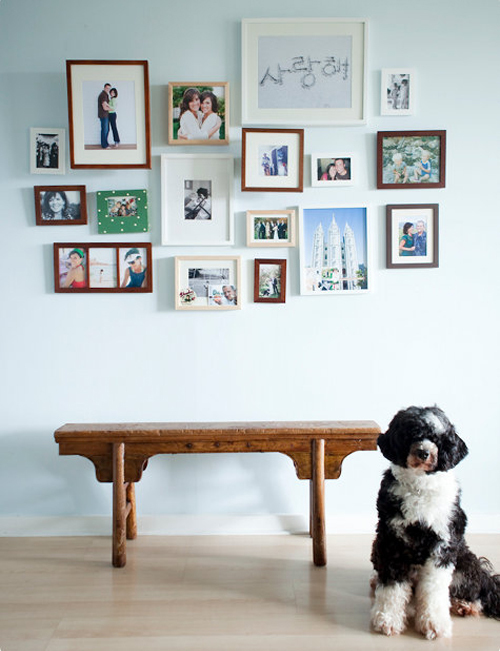 I love the frames (as well as that cute dog in the top image!) in these images. The images above are from photographer Nicole Hill Gerulat’s home which was recently featured on Design*Sponge. The frames and shelf are from IKEA. We moved into our house 6mths ago and all our frames, pics, calendars, etc. are still leaning against the wall in from of where I want to drill a hole to hang them. Time to get to it!!! Wooden frames. What a lovely inspiration.